Note: This week we will have a four part series based upon four characteristics demonstrated by Daniel, Hananiah, Mishael and Azariah. Message summary: May God give us resolve and strength like Daniel, Hananiah, Mishael and Azariah to have uncompromising convictions! “But Daniel purposed in his heart that he would not defile himself” (Daniel 1:8). Andy is a friend who develops web sites. He was just starting his business when he was approached concerning a sizable project that would have been a boon to his business. However as he began discussions with the prospective client he noticed the content would be of a nature he could not support so he declined the project. In this case his personal convictions cost him a job and income. Our personal convictions are based upon Scriptural truth and applied to our individual life. They provide boundaries to live a godly life. In the book of Daniel we have the record of Daniel, Hananiah, Mishael and Azariah. These were their given Hebrew names but each was also given a Babylonian name. We best know Hananiah, Mishael and Azariah as Shadrach, Meshach and Abednego. These were four Hebrew young men who had been removed from their homeland during the exile and taken to Babylon. One our favorite funny church moments took place in a Sunday evening service in the church we served in Massachusetts about twenty years ago. I referenced Shadrach, Meshach and Abednego and asked the congregation if any knew their Hebrew names. A little hand shot up and loudly blurted out “Rach, Shak and Bennie.” Now if you have kids or grandkids you’re probably laughing right now as you might recognize these are their nicknames on a popular Veggie Tales story. I can understand why a child (or anyone) might assume these were the Hebrews names! However Daniel, who was given the name Belteshazzar, is consistently self-identified as Daniel in the book bearing his name and the rest of Scripture, although the Babylonian king, Nebuchadnezzar, insisted on calling him Belteshazzar. Early in the book of Daniel they faced a test regarding their personal convictions they had developed while living in Judea. It concerned a diet and the specific details as why this was an issue for them are not provided in the text. It likely had to do with foods prohibited in the Jewish law. However it was a “line in the sand” for them. Today’s text should be memorized and applied to each dedicated Christian’s life regarding keeping our personal convictions. Our convictions should be determined by Scripture, both explicit and from principles derived. By explicit we mean those commands and prohibitions that are forthright. For instance I don’t have to pray regarding God’s will in staying faithful to my wife. That’s an explicit command. On the other hand we will develop many convictions from Scriptural principles. These are issues that may not be explicitly commanded or forbidden but we find Scriptural principles that guide us. Our strength in maintaining our convictions is developed from early, less significant choices. The stand that Daniel and the three Hebrews young men took in regard to the dietary issue gave them strength for a much greater test later on when they faced the fiery furnace when called to violate the 1st and 2nd commandments and later when Daniel faced the lion’s den. Our convictions will always be tested. 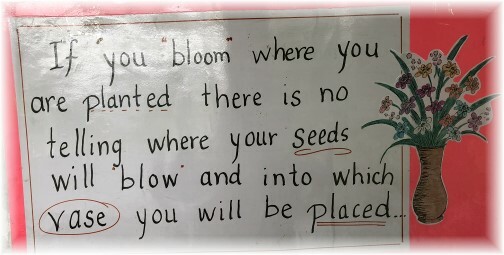 That’s the nature of life! With our society’s hastening slide into decadence true Christians will increasingly have their convictions tested. May God give us resolve and strength like Daniel, Hananiah, Mishael and Azariah to have uncompromising convictions! Daily prayer: Father, it was faithful Joshua who issued this challenge to the Israelites: “Choose this day whom you will serve.” He reminded them that their fathers, before crossing over the Red Sea, lived among those who worshiped heathen gods in Egypt just as they now lived among the Amorites who worshiped heathen gods. This passage serves as an example to those of us currently experiencing the results of a pluralistic society where God our Creator is being viewed as just one of the gods we might be devoted to. But we, with uncompromising conviction, hold steady to the words of Scripture, “that all the peoples of the earth may know that the Lord is God; there is no other.” Like the followers in Scripture, “We want our hearts therefore to be wholly true to the Lord our God, walking in His statutes and keeping His commandments.” If it requires that we lay down our life for You, may we do so willingly, knowing that full obedience to You on this side brings great reward in the eternal dwelling that follows. In Christ’s name we pray. Amen. Biblical Convictions (Essential/ Objective) Without these biblical truths, Christianity and the ability to glorify God no longer exists. 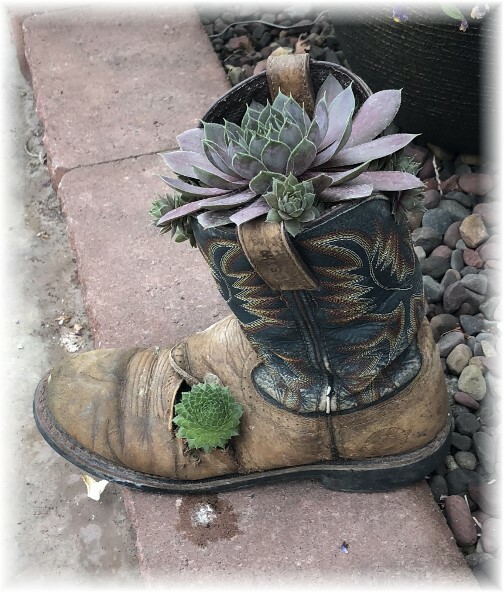 Personal Convictions (Situational/Subjective) How does God want me to live in the gray areas of life that are not specifically spelled out in Scripture? Biblical Beliefs (Non-essential/Objective) True believers in Christ may disagree on these theological beliefs or systems of belief. Personal preferences (Autonomous/Subjective) What do I like, and want, and choose? 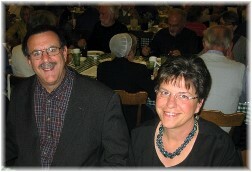 Saturday afternoon we attended a funeral service for Raymond Herr, who had a tremendous testimony of overcoming. He was critically injured as a young man in a collision with a train. After a very lengthy recovery he was able to return to his work as a mechanic. 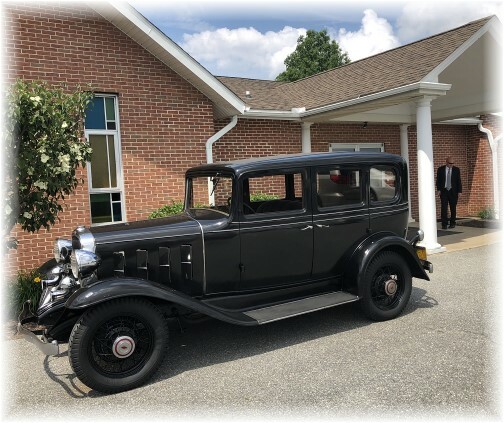 His 1932 Chevrolet, which he periodically drove to church, was parked in front of the church during the service! Raymond lived 89 years, 10 months and 28 days. He and his wife Miriam just celebrated their 68th wedding anniversary on May 18. 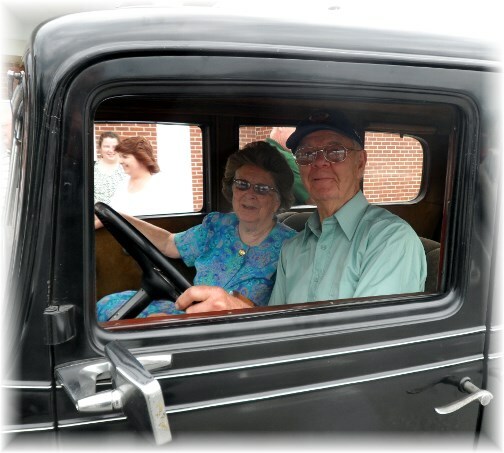 I took this photo in June 2013 of Raymond and his wife Miriam leaving from a church service. 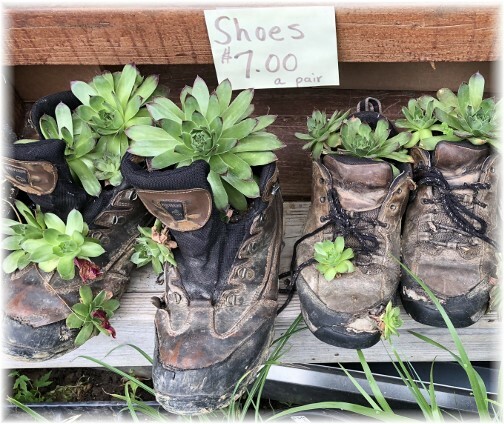 Good repurposing of old shoes! 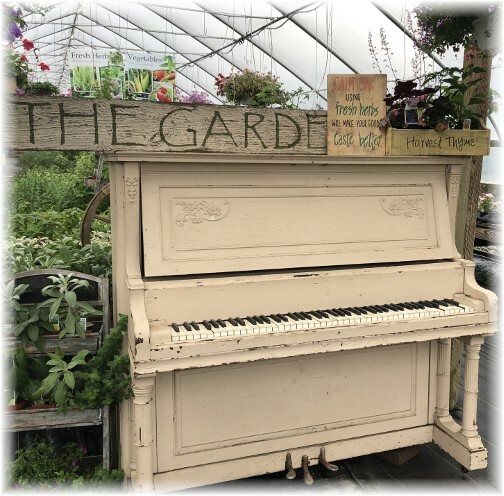 We think old pianos look neat wherever we find them, including in a greenhouse. 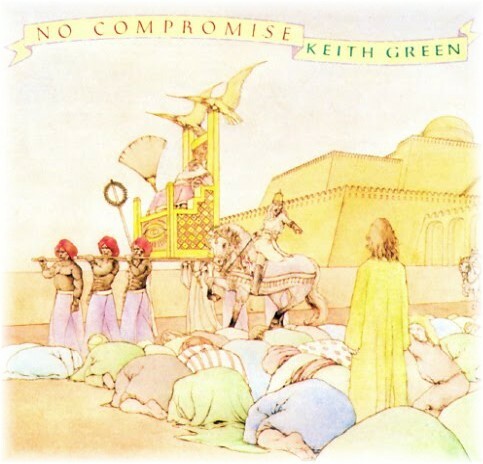 “No Compromise” Video Keith Green This is a great song and was on an album with one of my all-time favorite album covers. Set in an Old Testament period the people are required to bow before the passing king. But one brave soul, true to his convictions, remains standing in obedient defiance. A soldier on a horse is pointing him out. We are left wondering what consequence he faced for doing the right thing in the eyes of the One True King. 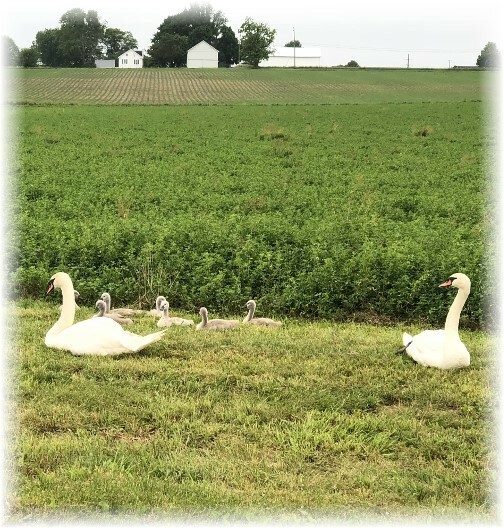 We took today’s lead photo in southern Lancaster County on Friday morning. 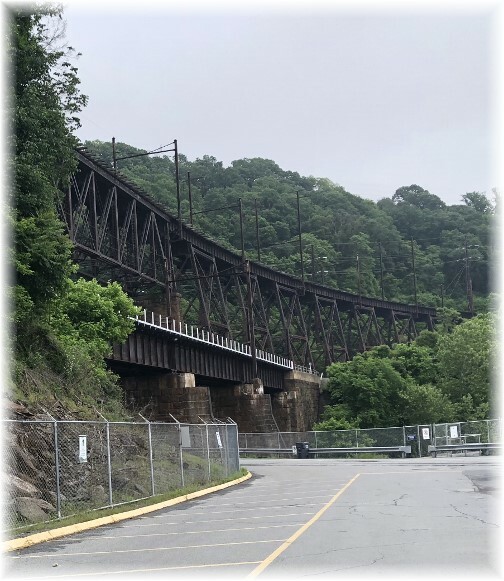 The Safe Harbor trestle is where two railroad lines had shared space along the Susquehanna River. The upper line, formerly known as the low grade, is being converted into a recreational path. The lower line is still heavily used by the Norfolk Southern. Here’s a photo I found of a train crossing the trestle in the 1980’s.